Seven of the eight teams in Division A could make the $500,000 playoffs. 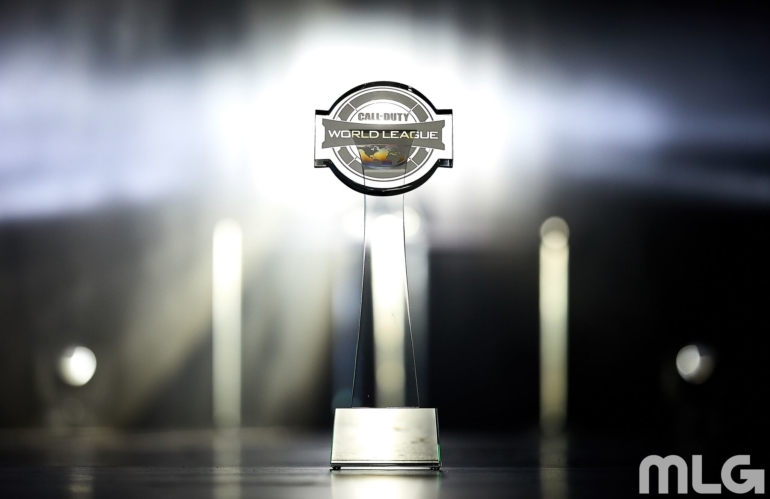 It’s been just over a month since FaZe Clan emerged victorious in Stage One of the Call of Duty World League Pro League. But now, the stage is set for the league to resume play. Stage Two of the CWL Pro League will kick off tomorrow with Division A action. Just like in Stage One, the 16 pro league teams have been divided into two divisions that will take turns playing two-week periods at the MLG Arena in Columbus, Ohio. Although several teams in Division A made roster changes prior to Stage Two, the majority of squads in this group could be seen as potential playoff contenders. Only four of the eight teams in Division A can make the $500,000 playoffs—and the battle for those playoff spots will likely come down to the wire in this group. Here are all of the teams competing in Division A for Stage Two of the CWL Pro League. The Stage One champs are here to defend their throne. Although FaZe have struggled at the recent open events this season, they stunned everyone by winning two best-of-five series against OpTic Gaming to take the Stage One title. FaZe are also one of the few teams in Division A that haven’t made a roster change lately, which should give them a slight advantage heading into Stage Two. They’ve shown before that they love playing in Columbus—and FaZe should be considered the top dogs of Division A. Evil Geniuses’ new roster shocked a lot of Call of Duty fans with their second-place finish at CWL Seattle in April. But now, fans are curious to see if EG can replicate this early success in the pro league. ACHES remains the key player for EG. When he’s going off, this team will be difficult to beat—but if he’s struggling, it’ll put more pressure on his teammates, especially in the respawn game modes. Echo Fox were another team that surprised a lot of people at the most recent LAN event. After replacing Assault with Temp, Echo Fox came in fourth place at CWL Seattle. But one of the most shocking revelations about their run at CWL Seattle was their record in Hardpoint—Faccento and crew went 4-11 in the all-important game mode. If Echo Fox have improved in Hardpoint heading into Stage Two, they could be a very dangerous team in Division A. Contrary to Echo Fox, the new-look Team Envy were dominant in Hardpoint at CWL Seattle—the Boys in Blue went 9-1 in the game mode. Envy looked like one of the strongest new rosters by going undefeated in pool play at CWL Seattle, but then they faltered in the championship bracket. Envy’s performance in Search and Destroy and Capture the Flag will likely determine their fate in Division A—especially if they continue to play well in Hardpoint. After revamping its lineup prior to CWL Seattle, Team Kaliber made another roster change before Stage Two. Enable has replaced Anthony “Methodz” Zinni, who joined OpTic Gaming. On paper, the addition of Enable should fix a slight role issue for Team Kaliber, since Accuracy can return to being a main assault rifle player. Team Kaliber fans hope this lineup can produce the organization’s third championship in WWII. Red Reserve seemingly became the best team in Europe by acquiring one of the region’s most talented players. The addition of Skrapz should give Red Reserve even more slaying power—and Skrapz has proven that he can go off in Search and Destroy, too. Red Reserve earned a top six finish in Stage One of the CWL Pro League, so they’re hoping that Skrapz can help improve upon that placing. With Skrapz joining Red Reserve, Joshh was free to return to Splyce for the rest of the season. The roster move seemed questionable to some fans, however, since Joshh replaced Thomas “Tommey” Trewren, who looked like one of Splyce’s strongest players when they were at their best. Splyce most recently earned a top 20 placing at CWL Seattle, so it’s clear that a roster change was needed. But it remains to be seen how this lineup will perform without Tommey’s slaying power in the respawn game modes. Most of the teams in Division A are expected to fight for one of the four playoff spots—but Epsilon aren’t one of them. They have struggled throughout WWII, and even with the addition of Reedy, they haven’t looked much better. This squad had an abysmal 1-15 map count at CWL Seattle—that’s right, they only won one map across five series. It would be surprising if any team other than Epsilon came in last place in Division A. Stage Two of the CWL Pro League begins Tuesday, May 15 with Red Reserve vs. Epsilon at 1pm CT.